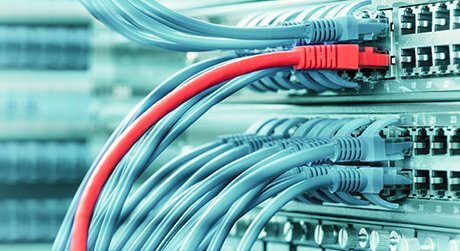 Different network cables are needed depending on the network’s physical layer, topology, and size. Can you figure out which type of patch cable and network cable connector to use? This article will introduce some common types of network cables and their characteristics. Network and communication cables are network hardware used to connect one network device to other network devices. For example, connecting two or more computers to share printers and scanners; connecting several severs to an access switch. The range covers data and Ethernet cable assemblies, including twisted pair cable, coaxial cable, optical fiber cable, power line, etc. The twisted pair cable, coaxial cable and optical fiber cable are categories that are most often referred to. Twisted pair cabling is a type of wiring in which two conductors (usually copper) of a single circuit are twisted together. Why are the pairs twisted together? Because the two wires are carrying equal and opposite signals, one pair can induce crosstalk in another and the effect gets stronger along the length of the cable, which is bad for the transmission of signal. Twisting the pairs reduce the crosstalk between lines. Twisted pair cabling is often used in data networks for short and medium length connections because of its relatively lower costs compared to optical fiber and coaxial cable. Twisted pair network cables are often shielded in an attempt to prevent electromagnetic interference. Twisted pair with shielding are known as shielded twisted pair (STP). In contrast to STP, unshielded twisted pair (UTP) is not surrounded by any shielding. STP cable is also divided by overall shield and individual shield. Individual shielded twisted pair is with aluminum foil for each twisted pair or quad. This type of shielding protects cable from external electromagnetic interference (EMI) entering or exiting the cable and also protects neighboring pairs from crosstalk. Overall shielded twisted pair is with overall foil or braided shield across all of the pairs within the 100 Ω twisted pair cable. 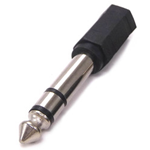 This type of shielding helps prevent EMI from entering or exiting the cable. One STP cable can have both overall and individual shielding. Figure 1: shielded twisted pair construction. UTP cable without shielding is more prone to outside interference. For this reason, this cable type is more often found in indoor telephone applications. Outdoor telephone cables contain hundreds or thousands pairs. Pairs that have the same twisted rate within the cable can experience some degree of crosstalk, so wire pairs are usually selected carefully within a large cable to reduce the crosstalk. 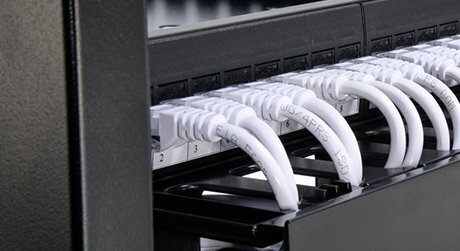 Most UTP cable uses RJ45 connectors, which look like telephone connectors (RJ11) but have eight wires instead of four. Figure 2: RJ45 connector (up) and RJ45 adaptor (up). 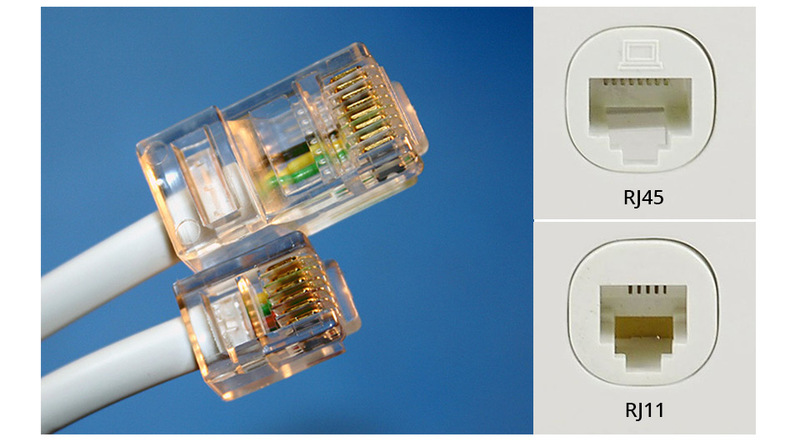 Ethernet cable is a typical type of twisted pairs, and probably the most familiar one to us. The following table gives the basic information of some network cable types. 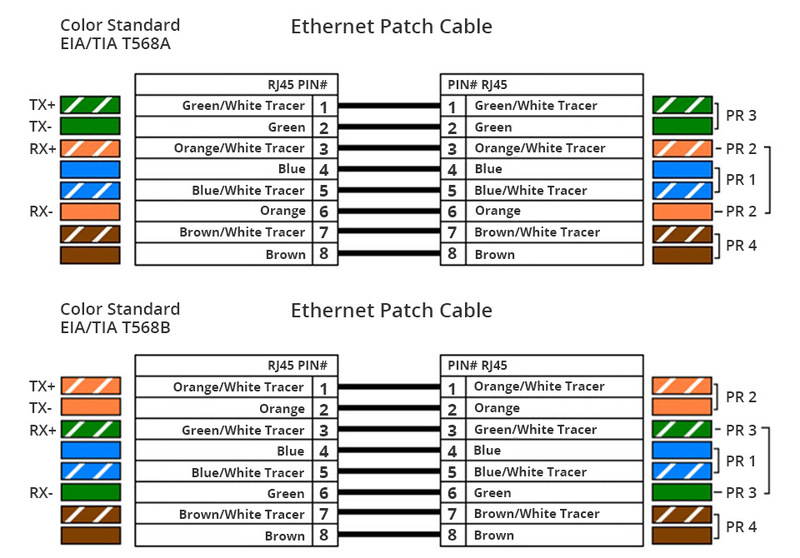 Table 1: twisted pair Ethernet cable types. Twisted Pair Cabling: T568A or T568B? Two wiring standards are commonly used with twisted pair cabling: T568A and T568B. These are telecommunications standards from TIA and EIA that specify the pin arrangements for the connectors (often RJ45) on UTP or STP network cables. The number 568 refers to the order in which the wires within the twisted pair cable are terminated and attached to the connector. The signal is identical for both. Pin numbers are read left to right, with the connector tab facing down. Notice that the pin-outs stay the same, and the only difference is in the color coding of the wiring. Figure 3: T568A and T568B wiring standards for twisted pair cabling. Coaxial cable is a type of cable that has an inner conductor surrounded by a tubular insulating layer, surrounded by a tubular conducting shield. The inner conductor and the outer shield share a geometric axis. Many coaxial cable has an insulating outer sheath or jacket. Figure 4: coaxial cable construction. Why Is Coaxial Cable Good for Radio Transmission? Coaxial cable is used as a transmission line for radio frequency (RF) signals. Its applications include feedlines connecting radio transmitters and receivers with their antennas, computer network connections, digital audio, and distributing cable television signals. 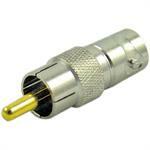 Coaxial cable has an obvious advantage over other types of radio transmission line. In a good coaxial cable, the electromagnetic field carrying the signal exists only in the space between the inner conductor and the outer conducting shield. For this reason, coaxial cables are allowed to be installed next to metal objects without power losses that occur in other types of radio transmission line. 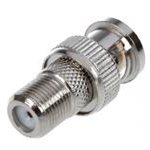 Many ethernet cable connector types are available in the audio, digital, video, RF and microwave industries, each designed for a specific purpose and application. One consideration the number of connect-disconnect cycles that a connector pair could withstand while still performing as expected. 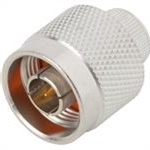 Here are some common coaxial connector types. Table 2: coaxial connector types. Type F Video 250 MHz to 1 GHz. 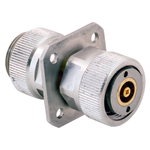 The “F” series connectors are primarily utilized in television cable and antenna applications. Type N / 12 GHz or more. 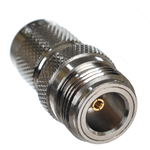 Type N connector was originally designed for military systems operating below 5 GHz, later improved to 12 GHz and higher. Type N connectors follow the military standard MIL-C-39012. 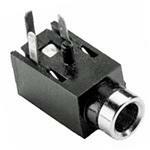 Phone plugs and jacks TS, TRS 100 kHz or less. Same with the names, the phone plug is the male connector, a phone jack is the female connector. RCA Phono plugs and jacks 10 MHz. 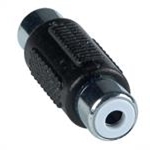 A round, press-on connector commonly used for consumer-grade audio and composite video connections. 7/16 DIN / .5 GHz. 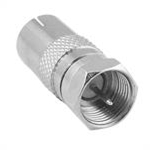 A relatively new connector used popularly as an interconnect in cellular and other so called “wireless” applications, especially on towers. APC-7 7 mm same 18 GHz. 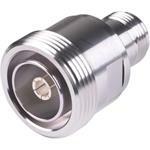 The genderless APC-7 (Amphenol Precision Connector - 7 mm) offers the lowest reflection coefficient and most repeatable measurement of all 18 GHz connectors, notably used for metrology and calibration. Optical fiber cabling is an excellent transmission medium for its high data capacity and supported long distances. 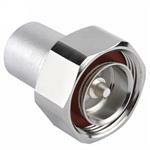 It is indispensable in any fiber optic network. It has a fiber/glass core within a rubber outer coating and uses beams of light rather than electrical signals to relay data. Because light doesn't diminish over distance the way electrical signals do, this cabling can run for distances measured in kilometers with transmission speeds from 10 Mbps up to 100 Gbps or higher. Figure 5: optical fiber cable cutaway. The inner fiber can be either single mode or multimode. Generally, a single mode fiber core is 9/125µm wide, whereas a multimode fiber core can be 62.5/125µm or 50/125µm wide. Only the early OM1 is 62.5/125µm fiber, the later generations OM2, OM3, OM4, OM5 50/125µm fiber. The letters “OM” stand for optical multimode. Both multimode fiber (MMF) and single mode fiber (SMF) can be used for high-speed transmission. MMF is often for short reach while SMF is for long reach. Figure 6: multimode fiber and single mode fiber core diameters. Optical fiber cables can be terminated with various types of fiber optic connectors that can be plugged into different ports of devices. The figure below shows some common fiber optic connector types, and the LC, SC and ST are most used three types. Figure 7: common fiber optic connector types. 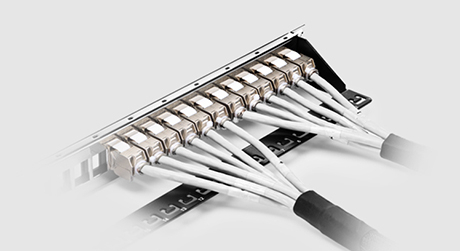 In addition, there is a multi-fiber connector type called MTP/MPO (Multi-fiber Push On). It is designed for higher bandwidth applications such as 40GbE and 100GbE. 12- and 24-fiber versions are currently used to directly connect into 40G and 100G transceivers and also used in high density fiber distribution areas. Higher fiber versions are also available (48, 72 fibers) but their use and deployment is currently limited. Figure 8: 12-fiber and 24-fiber MTP/MPO connector interfaces. This is a quick guide to the common types of network cables and connectors. Deeper interpretation on any type of the above-mentioned cables can also be found on our page or you can study them by searching on the Internet. Knowing the network and communication cables will benefit both in our daily life and in network construction work, since the range covers both home-use cables and big-infrastructure cables.